José Fernando Cosculluela Suárez was born on the 15th October, 1980 in Humacao, Puerto Rico. He is a singer and songwriter well known for those who are interested in the hip hop and reggae ton music genres. Cosculluela has been accumulating his net worth being active in the music industry since 1995. How much is the wealth of the singer who has been active in the industry for more than 20 years? It has been estimated that the overall size of Cosculluela’s net worth is as much as $10 million, as of the data presented in mid-2016. To begin with, Jose grew up in a gated community of San Juan, the capital of Puerto Rico, but was confronted early with drugs and violence, for example selling his older brother drugs while he was supposedly taking care of José. He was a white man living with predominantly Latinos and blacks. To be able to prevail against the other teens, he began to write his first hip hop texts at the age of thirteen, and from then on he regularly participated in freestyle battles. At the age 15 he recorded a demo tape, but with it had no success, and he remained without a contract. When he realized that his friends with drug profits were already earning more money than their parents, he decided to abandon music and even get into the drug business. Afterwards a good friend of José got a contract with the label Buddhas Family in New York City, and Jose asked him to introduce his demo tape to the label. He was taken at Buddha Family Records under contract in 2002. In 2005, his first single entitled “Te Va A Ir Mal F/ Getto” was released. After this the plan to release an album of “Cosculluela” has been dropped because the label doubted its success. Consequently, Cosculluela left the label. As he returned to Puerto Rico, his friend De La Ghetto had already drawn attention to himself at the time with his mixtape “El Jefe Del Bloque”. De La Ghetto introduced Cosculluela to several people, among others with Syko, Yomo, Zion & Lennox and Arcángel who helped him to improve his music. 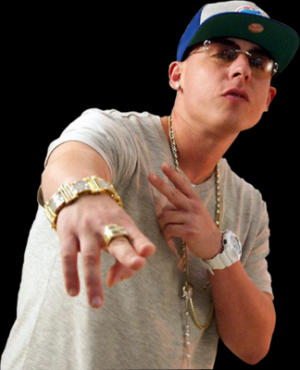 As De La Ghetto launched his own label Massacre Musical Inc. in 2008, he took Cosculluela under contract. José released his debut album “El Principe” (2009) with Massacre Musical Inc. Since the album sold poorly, De La Ghetto ensured that Cosculluela together with Somos De Calle could improve it, and in 2009 he released his album under the name “El Principe: Ghost Edition”. In 2010 Cosculluela opened his own label – Weiler Inc. – which cooperates closely with Massacre Musical Inc. The same year, his third album was released, entitled “The Rock Weiler”, followed by his album “El Nino” in 2011. In 2012, “War Kingz” was released. Overall, all the above mentioned albums as well as collaborations with other artists have added sums to the total size of Cosculluela net worth. Finally, in the personal life of the singer, Cosculluela has two children, the first named Jose Fernando Cosculluela Meaux and his second son is Franco José Cosculluela Moreno. On the 21st November, 2015 he married his longtime girlfriend Jennifer Fungenzi in Humacao. Record Labels Buddhas Family Records, Machete Music, Universal, Siente Music, Massacre Musical Inc., Weiler Inc.